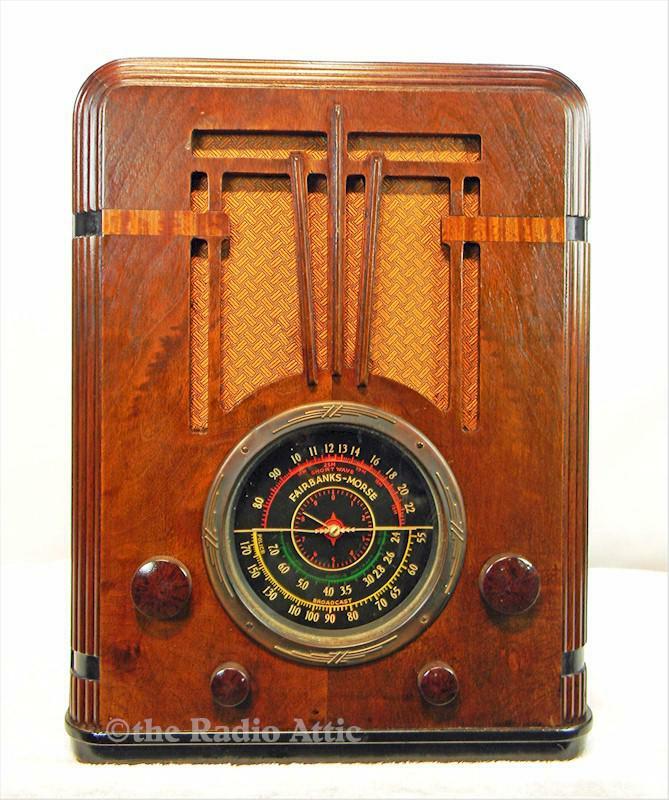 Here is a terrific radio from the famous Indianapolis, In factory. Not a common model, this radio offered a fine level of detailing in the cabinetry and a brightly lit and multi colored huge dial. The radio offers a fine level of service from a five-tube super-het chassis. The radio cabinet is in original condition and the speaker cloth is a replacement from the exact era. The knobs are factory as well. The radio plays in a fine manner, as it has been professionally repaired by my tech and carefully to assure you the very best performance. My tech has replaced the ancient power cord with a perfect cloth covered reproduction. A mini-jack is installed to allow you to connect the radio to many types of modern devices. This will allow you to enjoy the set with an unlimited choice of content. Bluetooth is available for an additional $25. 18-3/4"H x 14-1/4"W x 10-1/2"D.
You are visitor number 828 to this page.